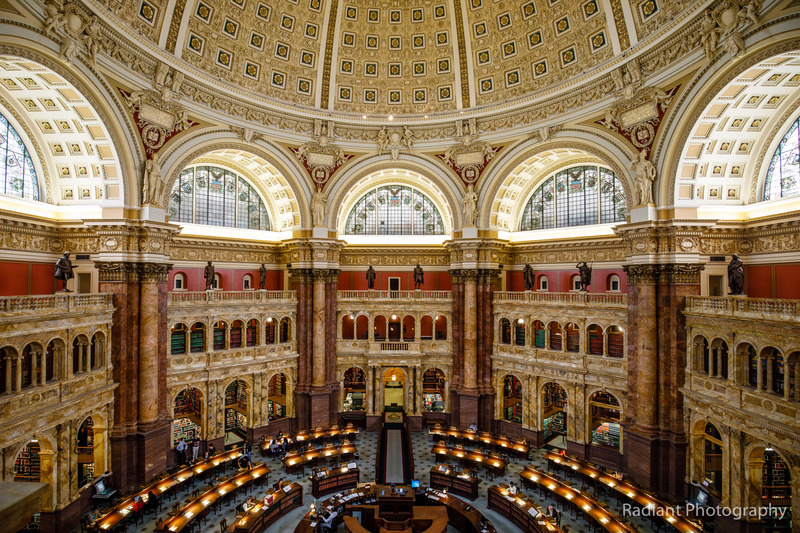 DC 21/ The Library of Congress Reading Room. I was just awestruck by this view; the room was fantastic. This photo was taken through glass on an observation deck, but fortunately you’d never know it from seeing the resulting image. This is just about the entire frame of the 30 megapixel image from my 5D Mark IV. I’m planning to make a big print of this one to really be able to appreciate all the detail captured.